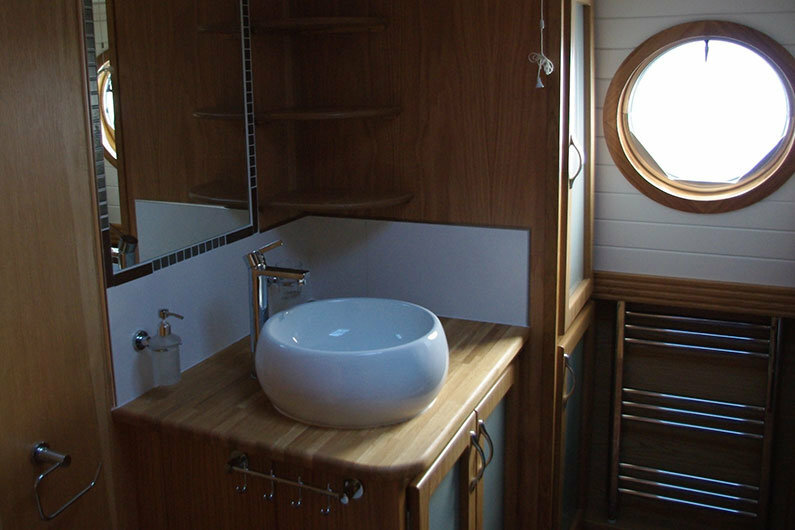 A few years ago the choice was fairly limiting for narrow boat sinks. With the explosion of the leisure industry over the last 10 years there are some very elegant solutions available from drop-in steel, ceramic “Belfast” style all the way through to bespoke molded synthetic stone. 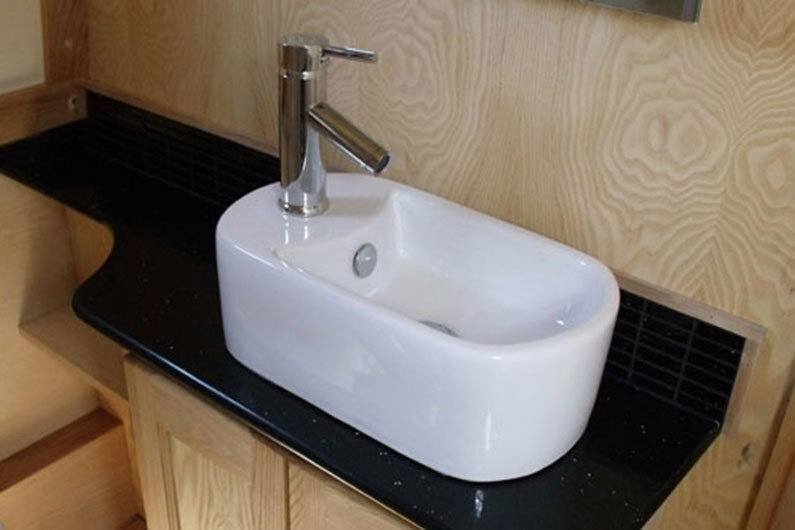 For widebeam craft domestic sinks are no issue. For a narrowboat consider compact solutions from motorhome accessory suppliers in addition to reviewing an increasing range from traditional chandlers. It is conventional to waste directly into the canal through a reinforced flexible pipe and through hull spigot fitting. However, small domestic traps can be adapted to fit onto the reinforced pipework to prevent odour from canal water and gusts of wind blowing up the sink. A trap will require regular cleaning. Likewise for bathrooms. 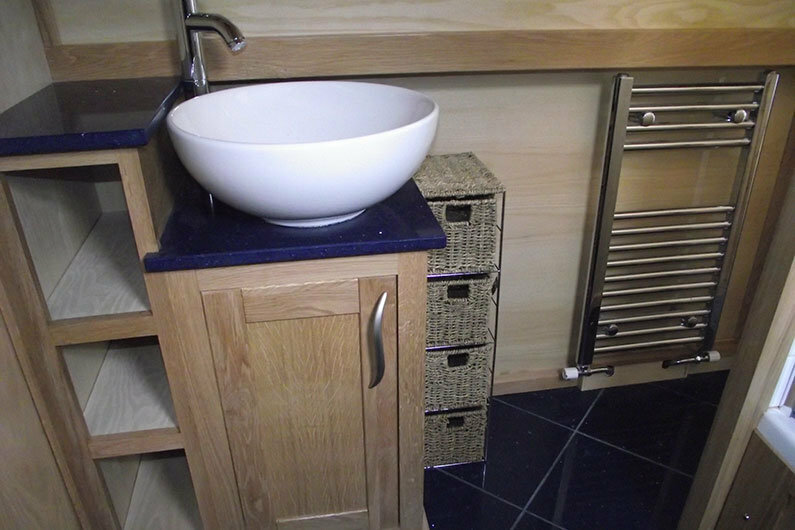 Small domestic vanity sinks work well in a confined space, as do motorhome and chandlery retailed products. It’s great fun looking around for that perfect product.